Prenuptial agreements are a form of contract that a couple can execute before they get married. Prenuptial agreements are contingent upon marriage. If the parties do not actually get married, then the prenuptial agreement becomes null and void. Although the parties negotiate a prenuptial agreement before marriage, the terms are not effective until after the parties become a married couple. There are many reasons for which future spouses decide to execute a prenuptial agreement. In many cases, the parties are concerned about financial imbalances or past debt. The benefits of a prenuptial agreement extend beyond assets and property. The following sections will examine four essential features of prenuptial agreements in Maryland. As noted previously, the separation of marital and non-marital property is an important component of many prenuptial agreements. 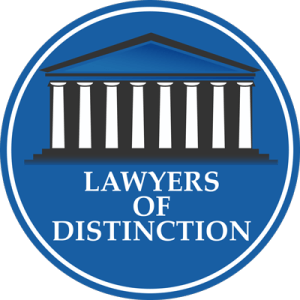 Both parties designate non-marital property by disclosing their finances and assets before the marriage. Additionally, both parties agree on the terms of marital property, accounting for ownership and potential division of any property acquired during the marriage. It is vital for both parties to engage in the financial and asset disclosure process truthfully and accurately. If either party fails to disclose — or attempts to hide — property, the prenuptial agreement may not be valid. A Maryland judge could declare the prenuptial agreement unenforceable on the basis of gross unfairness. Prenuptial agreements often address the topic of spousal support in the event of a divorce. Also referred to as alimony, these support payments even out financial imbalances between former spouses. If one spouse stays at home to raise children, they might have trouble re-entering the workforce. Spousal support can help that spouse bridge the gap while they work toward self-sufficiency. In some cases, a prenuptial agreement includes an expiration date, often referred to as a sunset clause. This clause effectively ends the prenuptial agreement after a certain period of time elapses. For example, the parties could decide to include a 10-year sunset clause in their prenuptial agreement. If the parties remain married for 10 years, then the prenuptial agreement can expire. 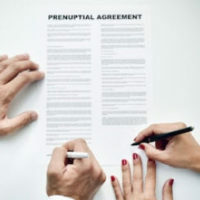 The prenuptial agreement may have other terminating events or may have events that trigger certain responsibilities or terminate certain responsibilities of either party. If you are considering the execution of a prenuptial agreement in Maryland with your future spouse, it can be distinctly advantageous to contact a knowledgeable family law attorney. 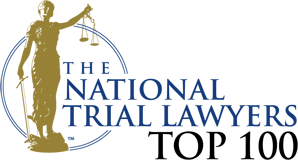 Based in Bel Air, Maryland, the attorneys at Schlaich & Thompson, Chartered have more than 55 years of combined legal experience in family and criminal law, including prenuptial agreements. If you need legal help, contact us today for an initial consultation.